n December 12 last year Delhi celebrated 100 years of the announcement by King George V that the capital of India would be moved from Calcutta to Delhi, a year after the Viceroy proposed doing so, for obvious geopolitical reasons. The announcement was made by the British without any previous notification, during the Coronation Durbar in a grand ceremony fusing the British and Mughal traditions where they were proclaimed the Emperor and Empress of India, to commemorate their coronation in Britain earlier the same year The foundation stone for the new city was laid on December 15, 1911, by King George V at Raisina village, where the Viceregal House—present day Rashtrapati Bhavan—later came up, and adjoining Malcha village. Just as every ruling prince, nobleman, landed gentry and other persons of note from India attended this Proclamation Durbar, the third and last held by the British in India after 1877 and 1903, the who’s who of Delhi celebrated the occasion last year. The Delhi government and the Indian Council for Cultural Relations have lined up a series of celebrations to mark the occasion for a year starting December 12, 2011. Souvenirs were released, the street food and kebabs and kulfis of Delhi were distributed and celebrated, exhibitions with photographs ranging from that of the old city of Shahjahanabad to the present day Lutyen’s Delhi celebrating the “new India” were held, and a book on the history of the seven cities of Delhi was released by Delhi chief minister Sheila Dikshit. But the book fails to celebrate an important event in India’s modern history; an event that was probably the first in a series of similar occurrences since then across the country almost every year with an alarming consistency. The residents of the 150 villages that were eventually acquired to build New Delhi refused to give up their farmland to the British and protested. More than 3,000 families united against the forced acquisition of prime agricultural land and the dense forest land on the Raisina Ridge that is still termed the “lungs of Delhi”. Historical accounts suggest that the villages of the area had played host to mutineers during the 1857 revolt and provided them with supplies during the march to Red Fort in the old city of Shahjahanabad. Many people from these villages took active part in the rebellion and fought alongside the soldiers. One of them was a Jat soldier Gulab Singh, who fought the British and later came to be known for his bravery in the villages of the area as “Kaale ghode wala (one who rode a black horse)”. British records of deaths in the area, maintained meticulously to keep track of the division of land parcels and ownership, show that he continued to live in the Malcha village with his family and died on April 5, 1894. By then, out of respect for his contribution during the revolt of 1857, his family had become prominent across the villages of present day central and south Delhi. Members of his extended family were often asked to assume leadership roles during disputes in the panchayats. Tucked away in the ridge forest was the famous hunting lodge called Malcha Mahal, owned by the Nawab of Awadh and built more than 600 years ago. The Nawab would often visit it with his entourage and go hunting in the area, which then boasted of a sizeable tiger population as well as other game. After the fall of the Awadh dynasty around 1850, Malcha Mahal lay almost abandoned, with only a few servants guarding the property. The majority of the population of these villages comprised Jats, while Muslims and Gujjars were also present in good numbers along with some Brahmin and Dalit families. By 1911, however, there were very few Muslim families left, presumably because Muslims were specifically targeted by the British in and around Shahjahanabad after the 1857 revolt because of their active participation. Gujjars had also been punished by the British since Gujjar gangs had looted British convoys and killed British families that had fled Delhi when the mutineers were busy laying siege to the city. The Jats were now in a majority across the villages of the area. Descendants of Gulab Singh were still respected and people looked up to them for leadership; as a result Malcha village had acquired the status of the most important village in the area over the more than five decades since the great revolt. The proposal to shift the capital to Delhi was mooted by Charles Hardinge—Viceroy of India from 1910 to 1916—in 1910, a decision that would change the lives of the people of Raisina and Malcha forever. The descendants of the villagers whose land was acquired say that even when the Coronation Durbar was being held the British were yet to inform the villagers, leave alone getting them evacuated from the area. They say nobody was sure of what was eventually to happen; but the murmurs started after Sir Sobha Singh (father of noted author Khushwant Singh), the builder who was entrusted the task of building New Delhi, had the foundation stones removed from Kingsway Camp, where the Durbar had been held and placed at Raisina and Malcha villages, 11 kilometres away. Meanwhile, architects Edward Lutyens and Herbert Baker had started to work on designing the architecture of the new capital, construction of which was to begin only by 1916. The villagers were then informed— much like it is done in present day India—that their land no longer belonged to them, and that all of it, including their dwellings and non-agricultural land was to be acquired. Panchayats held in every village unanimously decided that they would not surrender their lands. 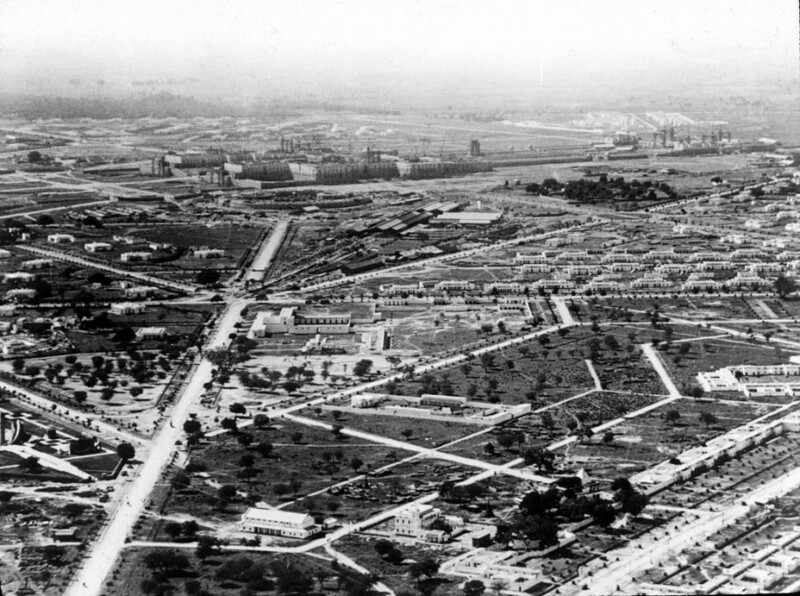 On October 10, 1912, the Government of India issued the order endorsing the order of the Government of Punjab (endorsement number 1169), paving the way for the formal acquisition of the land in Malcha and Raisina villages. At first, a little less than 4,000 acres was to be acquired for the construction of the Viceroy House, or Rashtrapati Bhavan as it is now known. Meanwhile, sensing the rebellious mood in the villages, the British decided to provide legal sanction to the acquisition by paying compensation to all the people whose land was being acquired. The farmers then put up a demand of Rs. 2,400 per acre for agricultural land and Rs. 1,920 an acre for other infertile land. However, they were offered just Rs. 35 and Rs. 15 per acre for fertile and infertile land respectively. Compensation rates were decided without consulting any of the villagers; the government prepared a list of all the villagers and the compensation amount they would be entitled to. The Land Acquisition Officer of the Government of Punjab was to issue awards between 1912 and 1913 and pay the amounts that the government had seen fit as compensation to families from the two villages. They were told to collect their compensation amounts but no arrangements made for resettling them; they were simply asked to migrate to wherever they could. The villagers had made up their minds to protest against this injustice. Some people, however, decided not to protest and instead pleaded with the British to resettle them in other areas instead of leaving them to their own fate. The Jats of the area, however, had no plans of surrendering. Village panchayats were held and it was decided by Jats of at least seven villages—Malcha, Palam, Prahladpur, Sultanpuri, Manglapuri, Motibagh and Gothda—that they would fight for their lands. Farmers from all these villages gathered near a well called Dhaula Kuan at Palam village, which is today a famous location situated southwest of Delhi, and poured salt in the well as part of their vow to defend their lands. Historical accounts suggest that the well was named dhaula (white) because of the white sand at its bottom but villagers in and around the area claim that it was named so as part of the tradition of the Jats of the region to pour salt in it as part of their vows before going to battle. “Namak ki saugandh khana sabse bada pran hota thha (to swear by salt used to be the biggest vow those days),” a farmer recalled at a meet of the farmers from Delhi, Uttar Pradesh and Haryana, organised in Delhi by the Delhi Gramin Samaj (Delhi Rural Society). Led by Amar Singh, the pradhan (village head) of Malcha village and grandson of the “brave Kaale ghode wala baaghi (the rebel who rode a black horse)” Gulab Singh, they started fortifying the boundaries of Raisina and Malcha and preparing for battle. When the British got a whiff of the plans, they attacked Malcha and Raisina immediately and 33 people, including Amar Singh, were killed in the fight. While there is no evidence of what exactly transpired during the fight, an octogenarian who claims his grandfather fought the British says his father had seen the British fire cannons at Malcha. “The whole village lay in ruins after that,” he said. The families of the Jats from Malcha and Raisina ran away, never to return to their homes again. Only ten per cent of the 300 families from the two villages collected their compensation. All that is left today of the village is the temple, known now as the Malcha Mandir. Half of the compound of the temple houses a small school run by a private trust, while the other half houses the old temple. The road running through the area was named Malcha Marg and the famous market of the area is called Malcha Market. Malcha Mahal suffered near dilapidation and lay in ruin, unoccupied since India attained independence in 1947. The last queen of the Awadh dynasty of Lucknow, Begum Wilayat Mahal, was allotted the house in 1985 after she had spent almost a decade in the VIP lounge of New Delhi railway station with her two children, servants and a loyal pack of dogs. She reportedly approached Indira Gandhi to have the property allotted back to her and the process was initiated after that. The Begum poisoned herself to death in 1993 and is survived by her children, Prince Ali Raza and Princess Sakina Mahal. The land of Malcha and Raisina villages is today occupied by several ministries, including the Prime Minister’s Office, Foreign and Home ministers; the Chanakyapuri area, where most of the embassies of foreign countries are situated, is also located where once farmer ploughed their fields. The property has since been named Wilayat Mahal. A board outside Wilayat Mahal today cautions potential “intruders” of the presence of hound dogs and threatens that trespassers will be gunned down. Nothing has so far happened to make the guns boom, and hardly anyone has met the prince and the princess since the Begum died. A few journalists, mostly foreign, have managed to gain “legal” entry into the compound but have come away dejected with the delusional and aggressive attitude of Sakina Mahal, who was famous in the 1990s as a reclusive princess who is perpetually drunk. Malcha Marg runs perpendicular to Sardar Patel Marg, along which the old Malcha village would have run. The stretch along Sardar patel Marg houses foreign embassies and the offices of some states, like Karnataka Bhavan and the Uttar Pradesh Bhavan. One section of the Diplomatic Enclave has been named Malcha House, a reminder of erstwhile Malcha village. Right across the road is the boundary wall of Rashtrapati Bhavan, across which lies the dense forest known as the Rashtrapati Bhavan Estate. 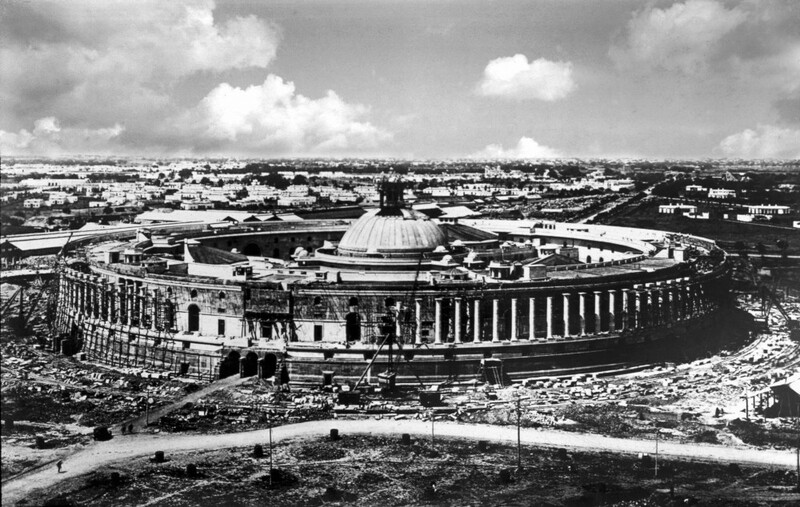 Parliament House and India Gate too fall in the 1,792 acre area along with Rashtrapati Bhavan, all of which were reportedly under the area of Raisina village. The famous protected forest of the Raisina Ridge area is also walled and out of bounds for the common man. Despite suffering brutalities at the hands of the British, the families that were forced to leave the villages did not scatter into oblivion. They stuck together, moved westward and eventually settled down in the Harsana Kalan area of what is today the Sonepat district of Haryana. They bought land from other farmers in the area and started their lives all over again. Over the next decade, families from the other five villages who had rebelled alongside them kept joining them after being forced into selling their lands at dirt cheap rates. These families together formed a single village and named it Malcha Patti after Malcha village out of respect for the people who laid down their lives there. This village today has almost forgotten what happened with their forefathers; only old-timers recall stories that have been passed down over the generations. The generation that had heard first-hand accounts of the events that transpired 100 years back is now represented by a couple of people with fading memories. Over the years the interest in such stories had also faded. That was until 2004, when a farmer called Sajjan Singh discovered something startling. During a chance discussion with an officer from the Revenue Department in Delhi, where he regularly participates in activities of the Ramakrishna Mission, Singh learnt that the British had actually awarded compensation for the lands owned by his forefathers; it was his forefathers who had refused to take the compensation and chosen to fight for their lands instead. “Our forefathers were illiterate and so never knew or even cared to know anything related to compensation after they were thrown out of their lands. This information did not trickle down through generations as a result. My father too was barely literate. It was a big revelation for me,” Singh recalls eight years later. But then Singh was aware of his forefathers’ small role in the country’s history—that he was a descendant of the famous rebel Gulab Singh. He decided to trace this money and started talking to elders in his village about what had happened a century back. With his father no more he convinced his paternal uncle Rai Singh, who had no children, to initiate a legal battle to trace the money. He approached advocate Sanjay Rathi at the Tis Hazari courts in Delhi urging him to look into the matter. “It was a search in the dark in the beginning. But while fighting a case related to another land dispute earlier I had learnt that the records of the erstwhile Punjab province are stored in Chandigarh under the records of the state government of Punjab and that they have revenue records as old as 200 years. So the first step we took was to try and access them,” recalls Rathi. On behalf of his uncle, Sajjan Singh then filed a case at the Tis Hazari courts in Delhi claiming the compensation that is due to the descendants of the people who had fled from Raisina and Malcha villages in 1912. They won the first legal battle after two years when they managed to trace the old revenue records and establish that compensation had indeed been paid.